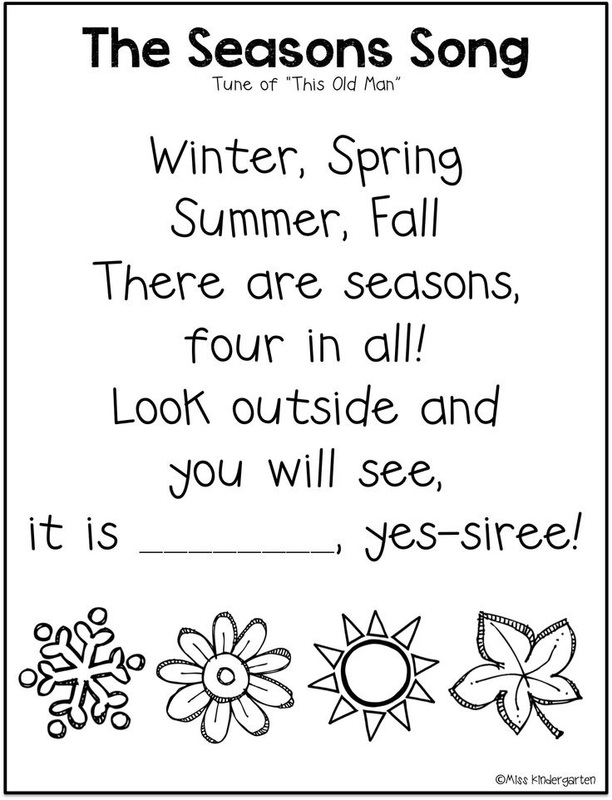 This lesson is to learn the kids about the four seasons and includes an art activity at the end of this lesson plan. - Identify the names of each of the four seasons,clothes,colors,weather, animals , fruits. Description: The story about seasons: One day, the seasons had an argument. Each one of them said, �I am the best!� seasons, the story about seasons, spring, summer, autumn 2 Spring said, �I am when flowers bloom and it is green and fresh everywhere. Birds fly and insects have fun with new flowers.� Summer said, �Yes, but I am when the sun shines brightly and it feels too hot to do anything. People eat ice-cream, enjoy cold drinks and eat yummy watermelon. Autumn said, �I am when trees shed their leaves and cover the earth in orange brilliance. The air feels cool.� Winter said, �I am when people wear woolen clothes, caps and gloves to keep their bodies warm. They get to drink hot chocolate. Birds fly south for the winter because it�s too cold.� Since they couldn�t decide who was best, they agreed that they were all important because one could not do without the other. 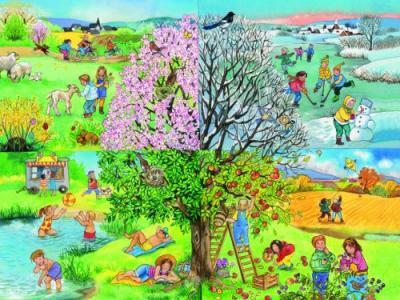 Description: Song about four seasons to motivate the kids to sing ,dance & imagine what the lesson is about. Description: Funny poems to learn it to the kids .